Some say the grass is greener on the other side. Hydro Dynamics has a wide array of turf maintenance services to make your grass the greenest around. It doesn’t matter if you’re starting out with a patchy yard or a patch of dirt. We have sod and seeding techniques to create the perfect dense, lush lawn. Hydro Dynamics has the experience and tools to take on any issue that threatens the vigor of your turf. We have many turf maintenance options for yards with turf already in place. Hydro Dynamics can help to preserve and improve the vitality of your yard. We provide soil amendments to condition your soil and enhance its overall health. Lawn aeration can improve drainage and is essential to maintaining a thriving lawn. We also have the tools to tackle even your most out-of-control weeds. 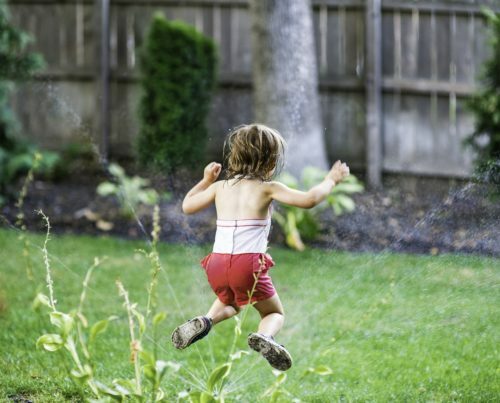 Twice yearly, we offer fertilization services—in the fall and spring. With our irrigation integration, there is no need to worry about broken sprinkler heads from aerators or spreaders, and no more inadequate watering of fresh planted seed and fertilizer. With over 45 years of experience, our experts at Hydro Dynamics are ready and able to take on any turf challenge. Ask about our customized annual plans tailored to your specific turf needs. Hydro Dynamics works with you to provide the knowledge and skills necessary to keep your yard lush and green for years to come. Your lawn will be the best around with our wide array of services. Contact us today to schedule an appointment with our experts!